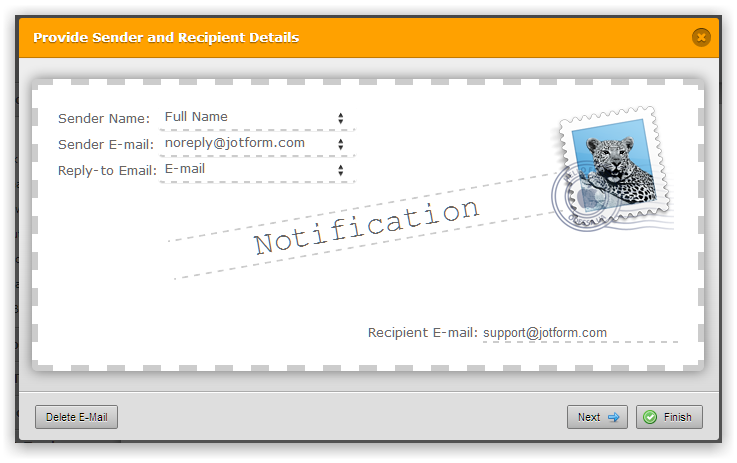 You can change the email address on the notification by accessing email setup wizard. Please refer to the guide below that can help you with changing the email address. Hope this information helps. Please get back to us if you need any further help.